Cian has autism. He likes to spin tin-openers. But he’s not an idiot. Journeying through the mischievous mind of a fascinating man, ‘The Misfit Analysis’ takes us through a world of wheelchairs and blow up dolls in a captivating exploration of an autistic mind. 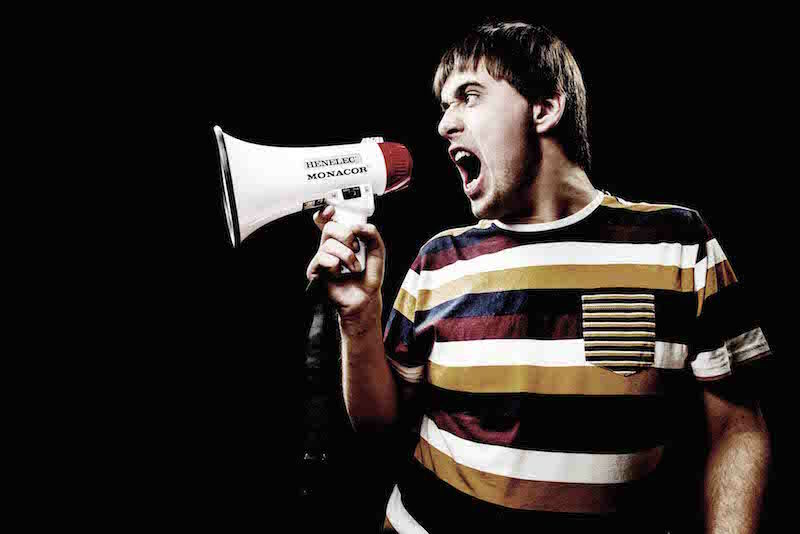 Using multi-media, video projection and performance poetry, Cian Binchy collaborates with Access All Areas and their playfully satirical style in a piece that challenges perceptions about autism, disability, and the feeling of being an outsider. Working as an autism consultant on the National Theatre’s ‘The Curious Incident of the Dog in the Nighttime’, Cian has developed a unique perspective on how people tell stories about autism. While he provides consultation to a west-end show on autism, appearing in a national documentary on the experience in summer 2015, it is notable that paid performance roles for learning disabled artists are few and far between. Indeed, the UK arts scene is notably lacking in excellent learning disabled creative voices, and we know of no other autistic solo-performers authoring their own work in the UK. While some wonderful companies like Stopgap, Lung-Ha and Mind the Gap continue to challenge this, Cian’s work still stands as a rare learning-disabled creative voice onstage. Partnering with The Wellcome Trust, Access All Areas are pioneering a mentoring programme that aims to enable artists with learning disabilities to create their own work and develop their own unique aesthetic. Cian was among the first graduates of Central’s Performance Making Diploma for adults with learning disabilities, run by Access All Areas and winner of the Guardian University Award for diversity. Writing in The Guardian, Lyn Gardner suggested that Cian and Access All Areas’ emerging artists were ‘creating theatre with a strong and distinct disabled aesthetic that could itself be an agent for change’. ‘The Misfit Analysis’ launches this mentoring programme, and will be one of the very few shows at the Fringe presenting an authentic learning-disabled voice. We believe that putting learning disabled voices at the heart of the UK arts scene will create an artistic canon that is made more vibrant, more varied and more relevant by the inclusion of a range of perspectives. Be the first to comment on "Access All Areas present ‘The Misfit Analysis’ by Cian Binchy"